Less people are donating clothing than ever before. So how do you get people to care about Goodwill? More importantly, how do you get them to donate? You make them realize that behind every piece of clothing, is a person with a story. With the simple premise of a personal story, we began to collect moments from other people’s lives. Big or small. Weird, sad, or funny. It didn’t matter the topic, everyone had something to talk about. 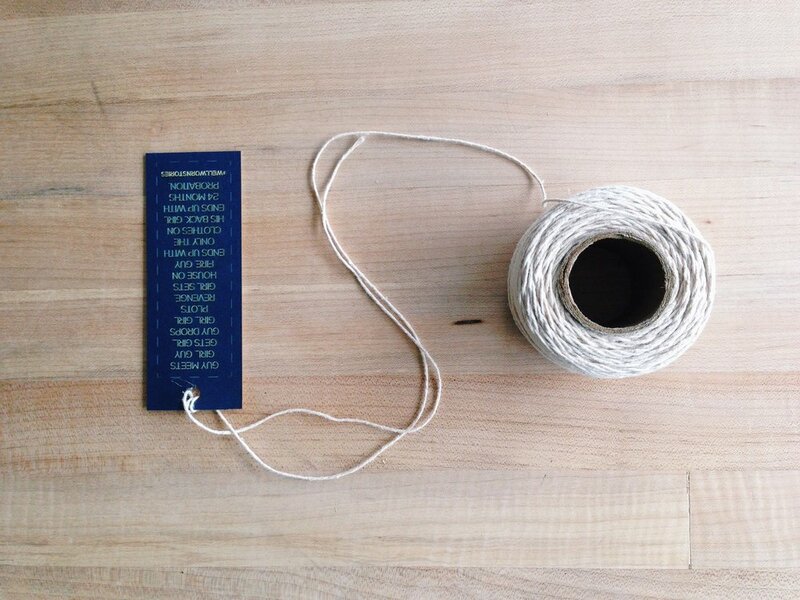 With a few solid stories collected, and clothing to be donated from friends, we designed out and laser cut personalized Goodwill clothing tags; each tag telling a different story. 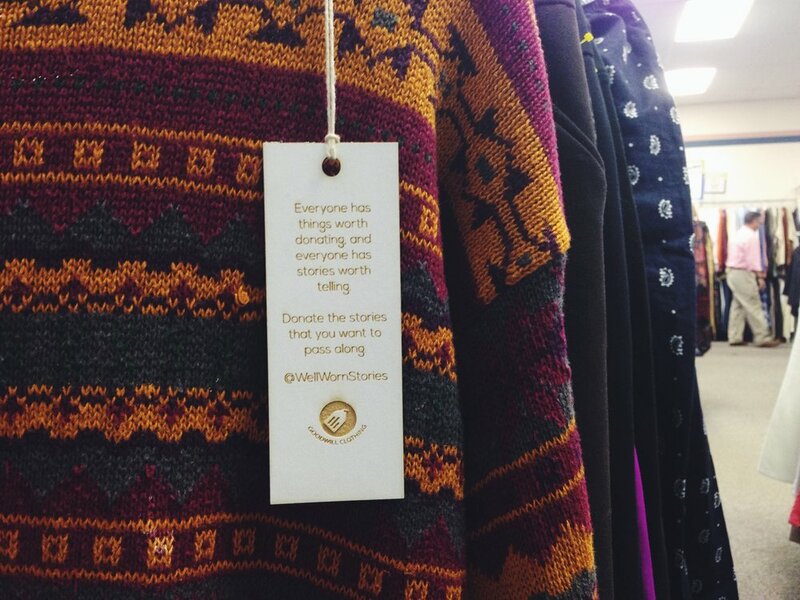 Then we re-donated the clothing, and the stories, back to Goodwill for new owners to find. This campaign is built around interaction, and since it’s moving in real time, we are using social media to spread awareness - and it’s just beginning to catch on.